It seems that despite visiting Recaredo several times, I keep forgetting to write about their top-end wine and property called, Turó d’en Mota. For anyone who visits Recaredo (and out of all the Cava makers in Penedès, it’s one of the very few I place on my “must see” list) you might hear during the English language tour that this is the “little mountain of Mota”. You’ll quickly pardon these small inaccuracies once you taste the wine, but it should actually be called, “Mota’s hill”. Last year I was lucky enough to visit this vineyard with their enologist, Joan Rubió. It was planted in 1940 and is just a scratch under a hectare in size with only Xarel·lo planted on its limestone clay soils. If you’re unfamiliar with this grape, it’s typically found with Macabeu and Parellada in the classic Cava blend. You can read a bit more about some noteworthy still wines here. Like most, Recaredo was simply blending these grapes in to their higher-end wines but starting in 1999 they decided to create this single vineyard wine and it’s naturally garnered no end of praise. 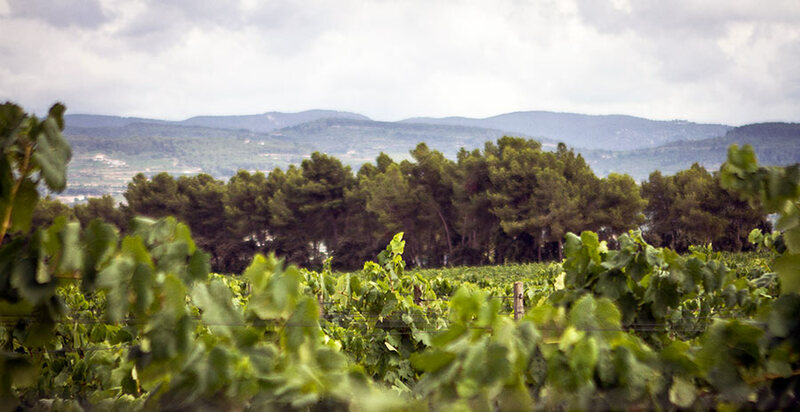 Farmed completely organically and biodynamically, the vineyard is truly one the gems in Penedès which can at times be quite industrial in wine production. This little hill from which it takes its name is not a marketing ploy and does indeed exist. Along the ridge of it run some trees that make it look like a sea serpent cresting above a green sea of staved bush vines. The soil is alive, redolent with small herbs and snails. And from here emerges the 2,700 bottles or so from each vintage that, after six months of barrel aging and using the Traditional Method with manual degorging, go through a massive 10 years of aging. Yes, a decade of bottle aging for a sparkling wine. While the price is at the very top-end of Cavas (95€) a bottle, it shows that Catalonia can indeed produce a sparkling wine that carries no end of elegance, can age, and ultimately compete with those prized bottles from Champagne which in relative terms would cost two or three times what this one does. It’s been rumored for some time that it will be Catalonia’s next Vi de Finca and most definitely the first Cava to receive this exalted status. The finest and most velvety of bubbles. Aromas of hazelnuts and toasted notes to the nose. Fresh and rich in the mouth with notes of lime peel. Mineral with chalky notes still present as it open shows light cider notes as well with a lingering finish and simple perfect acidity.